1) IMPORTANT: Party hop! Visit at least two of the shops below and leave a comment for each of your favorite items from the shops you visit. The more shops you visit, the greater your chances! They are being super generous to host, so show them some love! 2) Blog, Tweet, or Facebook about the giveaway and let me know you did so! 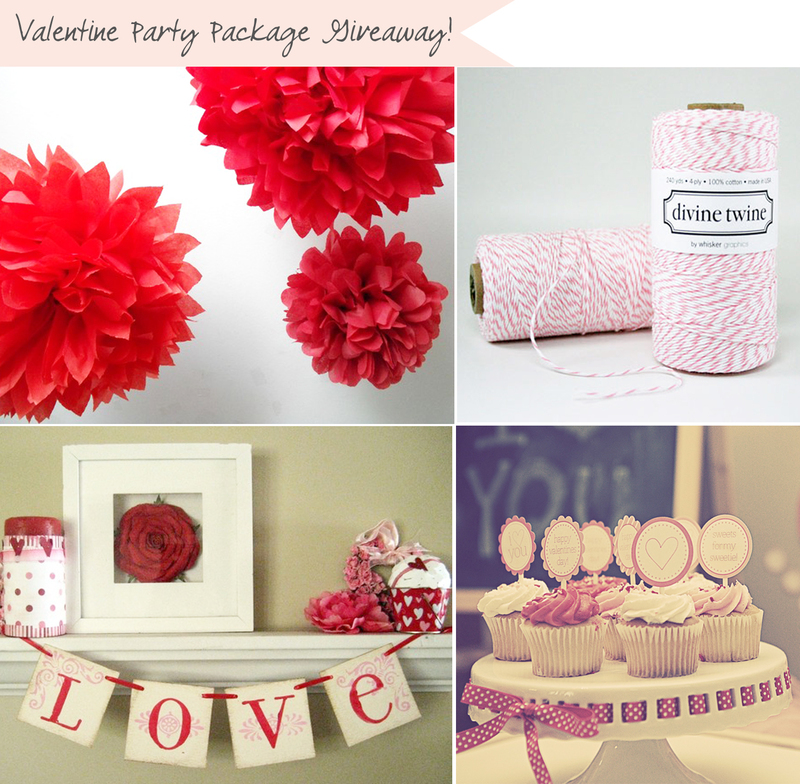 example tweet: Just entered the #giveaway for a Valentine Party Package from @inhonorofdesign! *Giveaway will run from now through Sunday night the 30th. Open to international readers. Okay and finally, the lucky lucky winner of the Sienna Bag Giveaway .... #63 - AZ!! Will be emailing you for details on your new handbag! Thank you all who entered! I love the pompoms and the Valentine Banners! They would make for perfect photo ops! :D I checked out their stores and I also adore the huge poms for photoshoots and the Just Married banners!! :) I hope I win! Love the InspiredLovely postcard set with the bird on it. Love the Baby is coming Pom sets... we have two on the way so I will definitely be visiting the site to purchase a set once we know the gender! The Hugs and Kisses banner is so adorable on BekahJennings site. Oh my! There are amazing goodies in this collection! I love the pom poms and Inspire Lovely's tag set. Yum! Just visited Lemon And Lavender, and I LOVE the bicycle birthday invitation!! By the way, I hope I'm doing this right by posting a comment for each shop I visit! I just love the pink and orange poms....I love all of her poms! They are GORGEOUS!! I love the Divine Twine in LOTS of colors. They just add the perfect touch to every gift!! I've been a fan of The Pretty Paperie for awhile... I especially love the printable party packages. What a phenomenal idea!! MY fave from Bekah Jennings is the Love Sweet Love banner. TOO CUTE! I think the Pretty Paperie has the cutest bottle labels!! ADORE! I love the Baker's Twine from Inspire Lovely. Maybe I just have a thing for twine? Wow. InspireLovely's entire shop is a dreamland to me. I really love these pink tags: http://www.etsy.com/listing/65896288/10-happy-pink-journaling-die-cut-tags?ref=v1_other_2. But I'm pretty sure I'd buy anything just for her packaging! My favorite from PomTree are the favor topping poms! SO CUTE! Hi! I am a follower IHOD via GFC. I love the Atlantis 10 poms from PomTree, these poms in blue, aqua and ivory would add a happy touch to the studio where I work long hours! I love the Vintage Scooter Flat Notes from Whisker Graphics. They’d be perfect to write down a note for my little son’s friend’s parents. 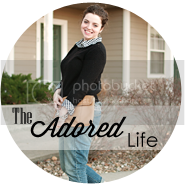 I LOVE the Love Sweet Love and Just Married banners from BekahJennings! Pretty Paperie makes me want to have a party!! LOVE it all! I would love the party package! So cute! Of course I already follow your lovely blog & I LOVE the pom pom favor toppers & any of the divine twine! Lovely colors! I love the vintage look of the Custom LOVE Wedding Banner Garland Sign from BekahJennings. My favourite item from the Pretty paperie is the Personalized Iron On Transfer-Transportation Theme Set. It’s not easy to find this type of item in Spain and I think it’s brilliant that the customer can choose the colour and the text of these cool designs. oh wow Anna! Love the pompons, I made my own last time but Id love any of these and love the whisker graphics twine, beautiful colors! My favourite item from LemonandLavender is the Nautical Baby Shower Invitation Navy and Apple Green. I love the nautical look and the green colour is very original as I would expect blue, white, and red. The thing I love the most from Inspire Lovely is the incredible White Paper Garland made of butterflies and flowers. It’s gorgeous, elegant and delicate, I just love it! Anna, what a fantastic giveaway! I visited all the shops and found so many cute things -- I love the Divine Twine in that blue shade, and The Pretty Paperie had so many cute ways to decorate water bottles. It's a sensory overload! I am a new follower of your blog, it is wonderful! I also tweeted about the giveaway (twitter.com/summer_blog) and below are my favorites from some of the shops! 2) Obsessed with Busy Bee Moving announcements.. I'll be purchasing these when I move next year! 3) BekahJennings has the most perfect congrats sign! 4)Pretty Paperie's Christmas cupcake toppers are adorable. I am a cupcake baker so I am in love! 6) If you read my blog you will see I am obsessed with the color yellow so the yellow and white twine from inspire lovely fits me like a glove. I LOVE the POM garland from Pomtree! Thanks Anna! Really love those purple poms at pom tree! And I could buy all the divine twine from Whiskers Graphics! Love the Love Banner at BekahJennings! I think the banners from Bekah Jennings are perfect for an indoor picnic with your love. From Pretty Paperie Printables--cupcake toppers of course (just recently I've acquired a sweet tooth). There is just SO much cuteness and talent from all the shops. Love Inspire Lovely's gorgeous tags! I love love the cute cakecup poms, it make me want to make cupcakes again. The wood stir stick from Lemon & lavender are my fave! The Napkin Ring Poms from Pomtrees Shop are sooo adorable! 1.PomTree - Pom Branches and Garland - too cute for my daughter's room! 2.Whisker Graphics - Divine Twine! I love all of it! Especially the adorable banner! I LOVE the Strawberry Dot Pom Poms at PomTree!! I used Bakers Twine on my Christmas Packages this year, and it looked so cute! I love the aqua and candy apple green! All of the banners are precious! I don't have many Valentine's decorations, so I love the Hugs and Kisses banner! I love the striped snack cups wrappers over at Pretty Paperie Printables! I would love to send my friends the Valentine's card from Lemon and Lavender's etsy shop! The Lovely Dearie Paper Kit is so cute!! LOVE the petite favor topper poms from pomtree ... and I can't get enough of custom swizzle/stir sticks (lemon and lavender). loving the cupcake poms from pomtree...and the sweet cotton candy divine twine from whisker graphics. shared on facebook...what a great giveaway!! I love the Divine Twine in aqua from Whisker Graphics. I've wanted to set a packaging scheme for my shop and I think I might use that as part of it. I'm not generally one to celebrate V-day, but with these festive bits, why not?! Ooh! 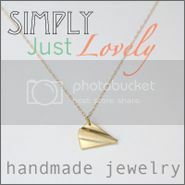 Fun giveaway (featuring @Lemonandlavblog, et al) over at @inhonorofdesign. TOO festively cute! The Birth to 1 year, month by month Baby BOY Iron On Transfer Set by Pretty Paperie would be perfect for when my little one gets here! Lemon and Lavender has really beautiful invitation sets. Super crisp and quality. I loved the Nautical Baby Shower Invitations. what a great giveaway! i love pomtree's napkin rings and lemonandlavender's stir sticks! This is such a generous giveaway! Everything is so lovely. The carnival tickets on Inspire Lovely are adorable, the cherry divine twine on Whisker Graphics is so versatile and I love the mini heart valentines on Lemon and Lavendar. They are all so great, I hope I win! From PomTree, love the Baby is Coming SALE Pink Zebra ... 3 Poms. From Whisker, love the Bird Silhouette 1" Stickers. From Bekah Jennings, love the BELIEVE Gold and Green Christmas Holiday Banner Sign Garland. I love the pomtree! Of course there are so many favorites among the beautiful colors. 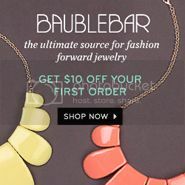 But I especially love the Citrus Stripe - would add a special touch to the other gorgeous colors! Okay...I've loved the Divine Twine for a while now - I would love to own almost all of them. But something I hadn't seen on Whisker Graphics was the Swirls Editable Printable Recipe Cards. I have LONGED for awesome recipe cards...not just the lame white lined note cards that I currently use. I am totally buying those! Definitely love the Happy Birthday general family banner on bekahjennigs - very wide range of uses and the colors are lovely! How can you not love the wooden stir sticks at lemon and lavender? Awesome! The Kraft label sticks from Inspire Lovely are fantastic...especially the Divine and Regal! I love the cupcake topper from Pom Tree. I love this @ Whisker Graphics. I like this a lot @ BekahJennings. 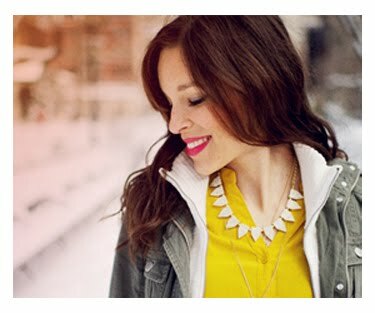 oooh the valentine banner at BekahJennings is great! thePrettyPaperie - the cupcake toppers are way cute :) great site! i particularly like the Customizable HAPPY BIRTHDAY with NAME Triple Banner Sign Garland - BekahJennings. I particularly like the customised tags and labels from ThePrettyPaperie. I can't stop staring! These are such wonderful shops! i love hot dots from pom tree. i love the aqua twine and the blueberry twine from whisker graphics. i love the love banner from bekah jennings. perfect! and i gotta say--i have a deep obsession with baker's twine and i loved oogling over at inspire lovely. What a great giveaway! :D Since everything in my life is baby, baby, baby, I want to use all of these at my baby shower!! I LOVE the love sweet love banner from Bekah Jennings! I can find a way to incorporate this into my upcoming baby shower! From the Pretty Paperie: hello! Did I mention how all these giveaways can be incorporated into my baby shower?? Lemon and Lavender has the cutest things! I think the mini Valentine's cards are adorable. Perfect for writing little notes to my husband to show how much I love him! Well, I must say, I did tweet about this amazing giveaway!! Oh my GOODNESS!! I LOVE the Pom Pom Cupcake Toppers at PomTree!! Yup Yup, adore the BE MINE banner at BekahJennings! 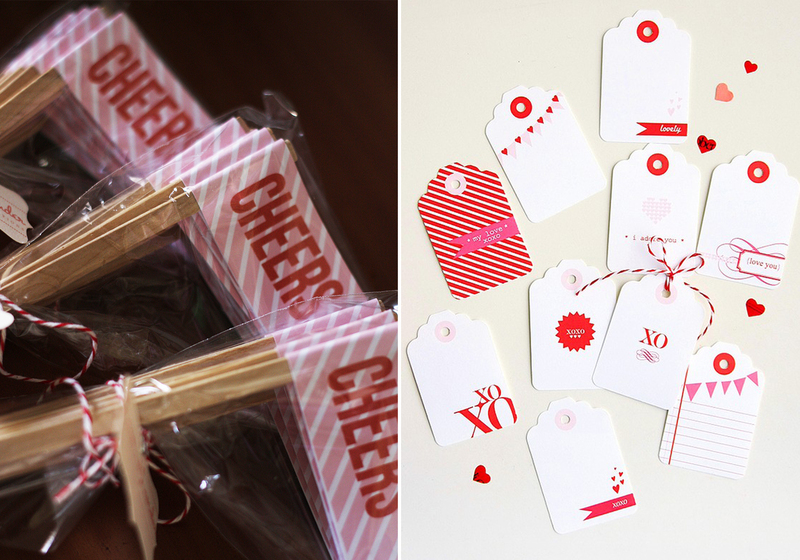 Super love the white carnival tickets and pink mini gift tags at Inspire Lovely! My dear friends' birthday is Feb 15 (she calls Valentines Day the "eve of her nativity") and she would LOVE this little set; so I hope I win it for her! I adore Pomtree's "caribbean" colors! I need to get these for my little girls' room! whisker graphics has the most adorable recipe cards! love them! Bekahjennings "happy birthday" sign is awesome: I want one to celebrate ALL our family birthdays! Love Pretty Paperie's custom water bottle labels, Inspire Lovely's pretty ribbon and Lemon and Lavender's Mini Hearts cards. http://whiskergraphics.com/item/The_Sweet_Dozen/127/c3 Love love love the colors! Can I just say that I'm in love with twine? and could totally own a 'LOVE Red and Pink Valentine Banner Garland Sign' from BekahJennings! Pretty Paperie--Fun Treat Bag Tags! Lemon and Lavender--I love you Valentine's Card and mini Valentines are so cute!